At Mindshift Media, we specialize in innovative online media campaigns and solutions for all of your visual communication needs. Our award winning team create an effective digital marketing approach, incorporating cutting-edge tactics and results driven strategies. We look forward to helping you achieve the success you deserve! Michael-Ryan Pattison, “M.R.” as we call him grew up in Woodinville, WA, where he was very active in sports and other extracurricular activities. After graduating high school MR chose to attend Washington State University; communications and business were his focal points. On May 28th of 2005 Michael-Ryan Pattison broke his neck diving into Lake Chelan. Despite multiple surgeries, rehabilitation at the world’s best SCI facilities, and the highest level of care, MR was left a quadriplegic, unable to move below his collarbone. With drive and determination The Michael-Ryan Pattison Foundation was established in 2006 to help others struggling with paralysis and spinal cord injuries. Michael-Ryan serves as President of the Foundation. The Foundation has organized several fundraising events including auctions and golf tournaments organized with the help of his family and caring friends including the Seattle Seahawks. Michael-Ryan’s own recovery efforts continue along with ever increasing time and energy to building his Foundation. How to Connect with The Michael-Ryan Pattison Foundation? 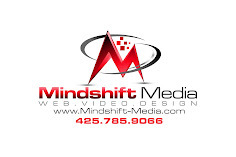 Mindshift Media is an interactive multimedia agency located in Bellevue, Washington. From promotional multimedia campaigns to social networking solutions, we provide our clients with many tools needed to succeed in today's global marketplace. Our unique and comprehensive approach to advertising enables us to accommodate a variety of clients, including businesses, organizations, non-profit’s and individual’s. 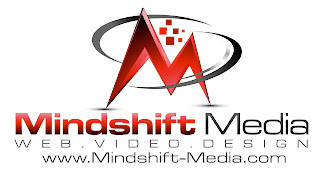 Mindshift Media includes a tight-knit group of experienced multimedia professionals. We enjoy working with results-oriented businesses and ambitious entrepreneurs. 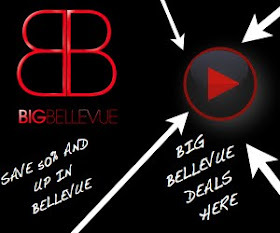 BIG Bellevue offers BIG discounts on the best things to eat, see, do and buy in Bellevue, Wa. Visit our Website for all your Multimedia Marketing Needs! At Mindshift Media, we specialize in results driven online media marketing campaigns and innovative ideas for creative advertising for local, national and globally based companies. We look forward to helping you achieve the success you deserve.